WURZBURG, GERMANY—According to current basketball point exchange rates, due to the weakened value of the NBA basket, Dirk Nowitzki's career 20,000-point total is worth just over half that much in Euroleague Basketball. "A traditional two-point American basket is worth 1.126 points in Europe," leading basket economist Dr. Benedikt Acton told reporters after Nowitzki's career milestone, later adding that while the NBA point is struggling, it is still strong against the IBL Punkt and the Chinese Basketball Association's fēn. " 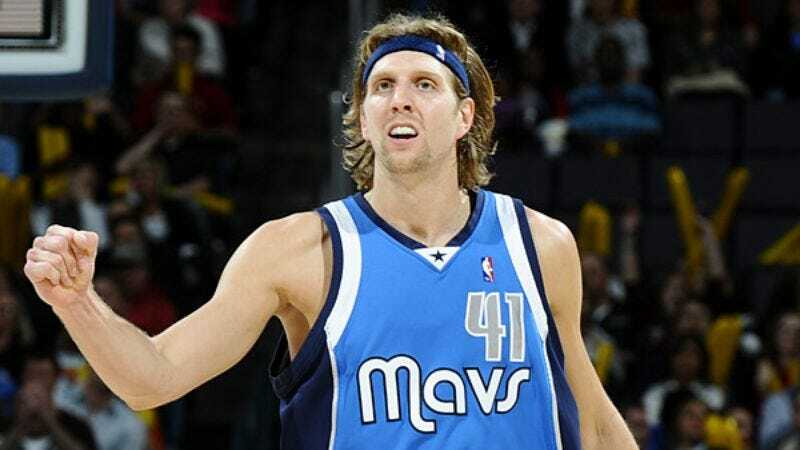 If Mr. Nowitzki would have remained in Germany, the value of his points would have remained stable. Then again, nobody could have predicted the soaring inflation that followed Kobe Bryant's 81-point game in 2006." Acton added that if the Celtics' defense remains strong, the NBA point could see a resurgence in the second half of the season.